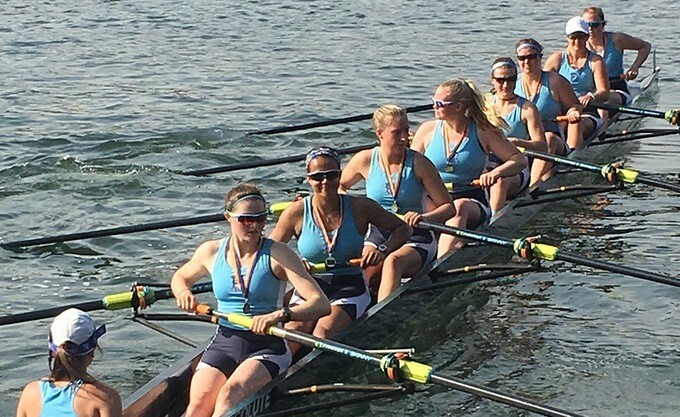 The University of Rhode Island women’s rowing team had one of the most successful weeks of the season this week winning the 52nd annual Kerr Cup Regatta. The Varsity 8 boat was also announced as the Atlantic 10 Boat of the Week. Rhode Island has now won their last two team meets and are undefeated as a team in the month of April. The team now prepares for the Resolute Cup in Boston, Massachusetts, the team’s last meet before the A-10 Championships during the first week of May. Much like the women’s rowing team, the men’s golf team enjoyed a successful week in their lone home contest of the week. The Rams tied with Rollins for first place in the Rhode Island Invitational at Quidnessett Country Club in Warwick, Rhode Island. It was the team’s second team title of the season. The Rams were led by Dawson Jones who was one of three golfers to finish two rounds under par. The Rams now enjoy some time off as they prepare for the Atlantic 10 Championships which starts on April 27 in Orlando, Florida. After the University of Rhode Island baseball team’s 10-2 victory over the University of Hartford on Wednesday afternoon, head coach Raphael Cerrato notched his 100th career win as Rams head coach. 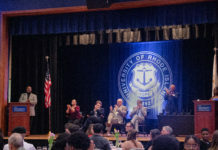 Cerrato is a URI alum part of the class of 1993. He served as team captain of the Rams while playing and was named the head coach in 2016 after being named interim head coach in 2015 after former head coach Jim Foster left for Boston College. For his team, the Rams struggled early this season but are now on a season-high four game winning streak. The Rams welcome St. Joseph’s to Bill Beck Field this weekend for a conference weekend series. The URI softball team dropped two game this weekend against the Fordham Rams at home at the URI Softball Complex. Rhody recovered by sweeping the University of Maine at home on Wednesday afternoon. URI won game one 5-3 and game two 3-2. The Rams now welcome St. Joseph’s University to the URI Softball Complex this weekend.